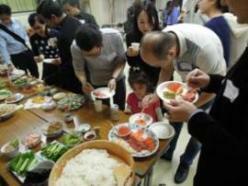 JICE held a potluck party for international students who lived in Nagoya under JICE Chubu Office’s support on March 20th, 2015 at a community center in Nagoya. On the day of the event, the venue was full of delightful atmosphere and meals of various countries brought or cooked by participants. 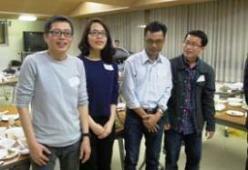 They enjoyed the event sharing the good moment with JICE staffs and other participants. 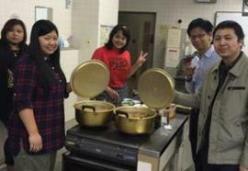 It was the second joint party held by JICE Chubu Office. We started the party by cooking together in a kitchen, regardless of being cooking amateurs or not, the students were very much interested in various ways of cooking and materials from all over the world. Even thought studying at the same universities, the students seldom have chances to talk each other. 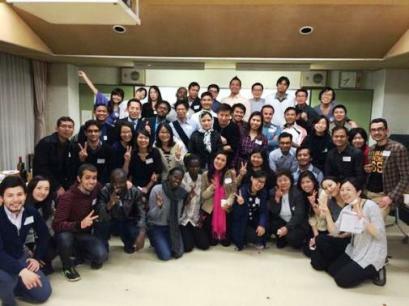 It was a great opportunity for participants to refresh themselves out of their busy days and to enjoy conversations with new friends in Japan, beyond the difference of nationality, major or grade. We should also mention that the encouragement from the graduates of March 2015 raised the morale of the students for their further studies in Japan and made them recognize their objective to attain through the program. JICE would like to continue to support the international students, not only for their academic activities but also for their healthy and fruitful lives in Japan.